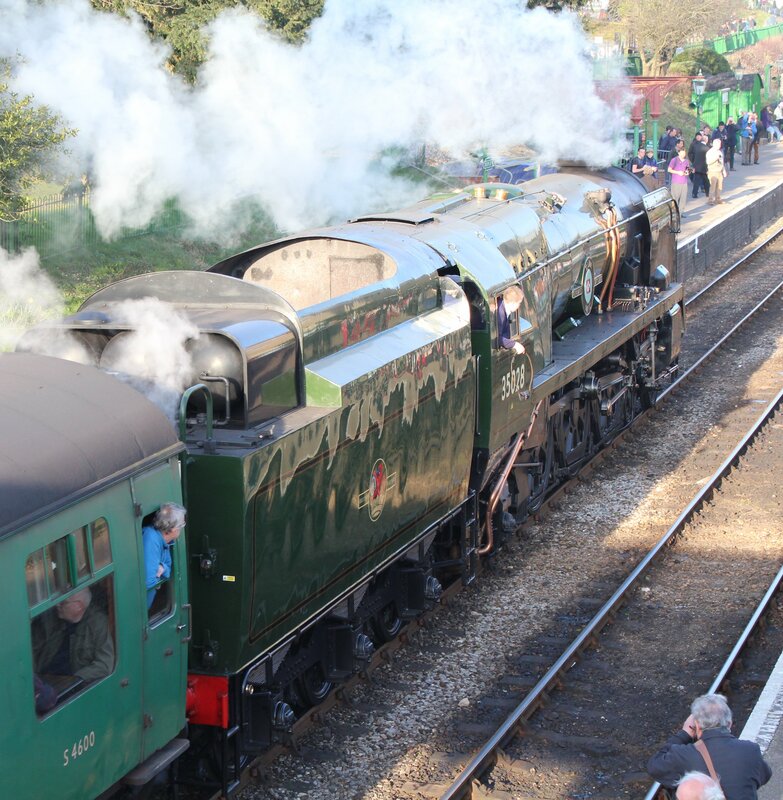 Although it was not the only Bulleid pacific at the Watercress Line Spring Steam Gala 2014 (with unrebuilt Bulleid 34007 Wadebridge and rebuilt 34046 Braunton also in action), 35028 Clan Line was undoubtedly the star of the show! Oliver Bulleid, the man behind the Merchant Navy class was arguably one of the most innovative Chief Mechanical Engineer’s that the UK’s railways have seen. 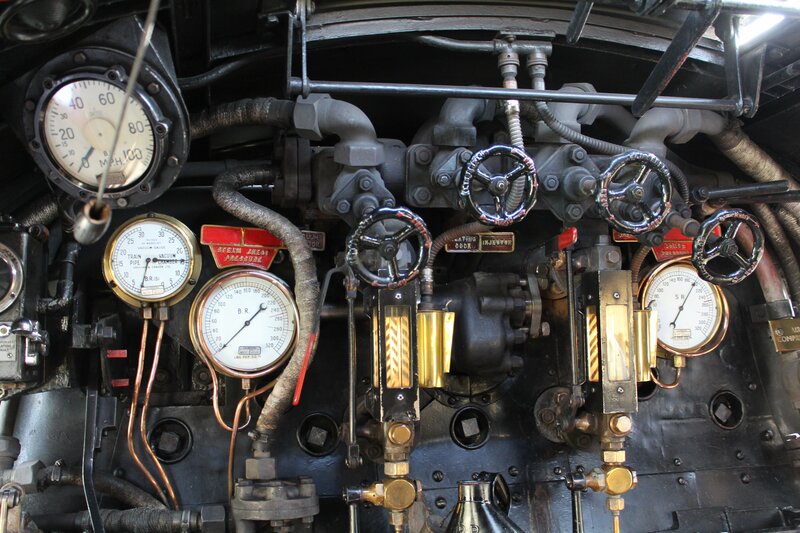 In the Merchant Navy class, his most powerful design (and indeed one of the most powerful steam locomotives produced in the UK) we see what this innovation produced in terms of performance, we also see the price in terms of reliability and economy. 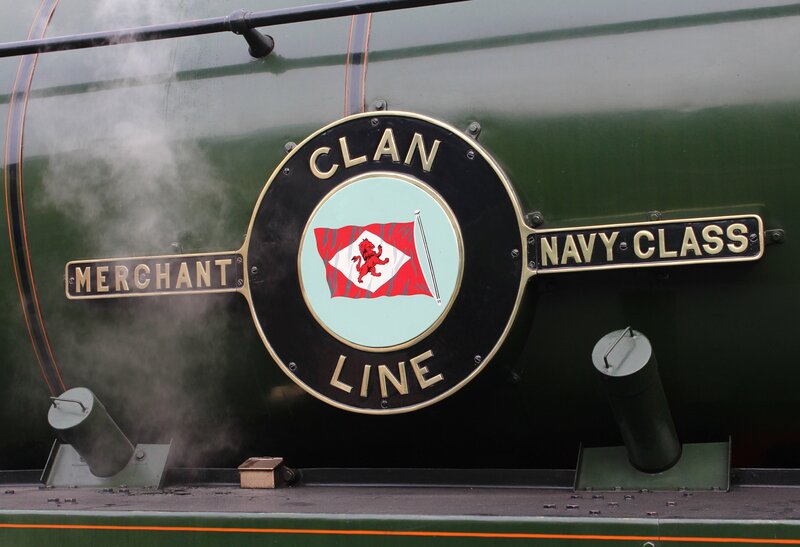 Officially designated as a fast mixed traffic design, the Merchant Navy class in reality was an express passenger type. Its designation was more as a result of the restrictions posed on construction of new express passenger types than on the product itself. Bulleid worked hard to create a locomotive of high performance – his target was a type that could haul 600 ton boat trains from London Victoria to Dover at an average speed of 60MPH. Bulleid considered many options in terms of wheel arrangement – even a 4-8-2, but opted for a 4-6-2 (“pacific”) because it was conventional and more likely to be approved by the Southern Railway’s Board and Civil Engineering Department. Ironically enough, this was probably the only conventional part of the locomotive’s specification. As built, the class had “air-smoothed” casing, the argument for which was to allow it be cleaned in carriage washing plants. The locomotive had electric lighting, which was quite an innovation for its time. Its lack of convention was more than skin-deep too! They were given Bulleid-Firth-Brown wheels (that were lighter and stronger than spoked wheels with better support for the tyres). They were given chain driven valve gear enclosed in an oil bath (in theory to be maintenance free), had steam assisted reversing gear and used welded steel instead of riveted copper in it’s construction to save cost and weight. 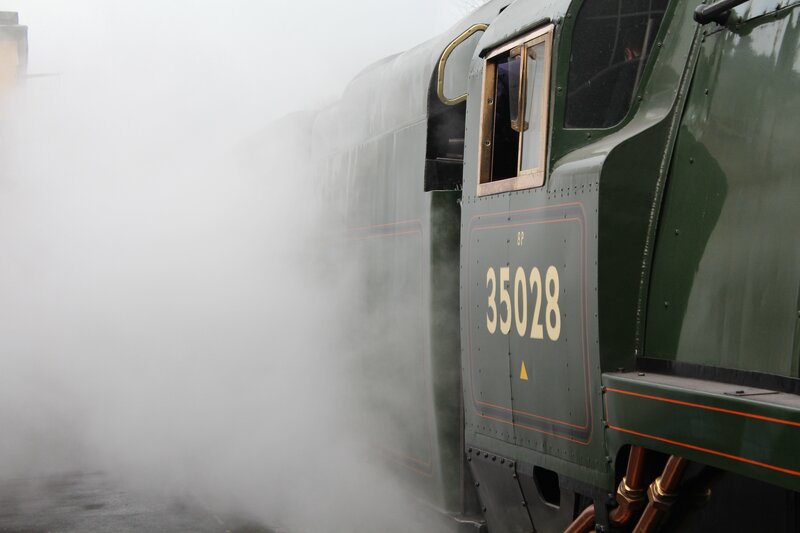 Built for performance, the class had an excellent free-steaming boiler, one of the best ever built that operated at a working pressure of 280lb per square inch and had a superheat element temperature of 400°C. The Merchant Navy class were always excellent performers and when in 1948, British Railways were formed they proved themselves in exchange trials across the railway network. But they were terribly unreliable and expensive to maintain and run, being very heavy on coal and water. 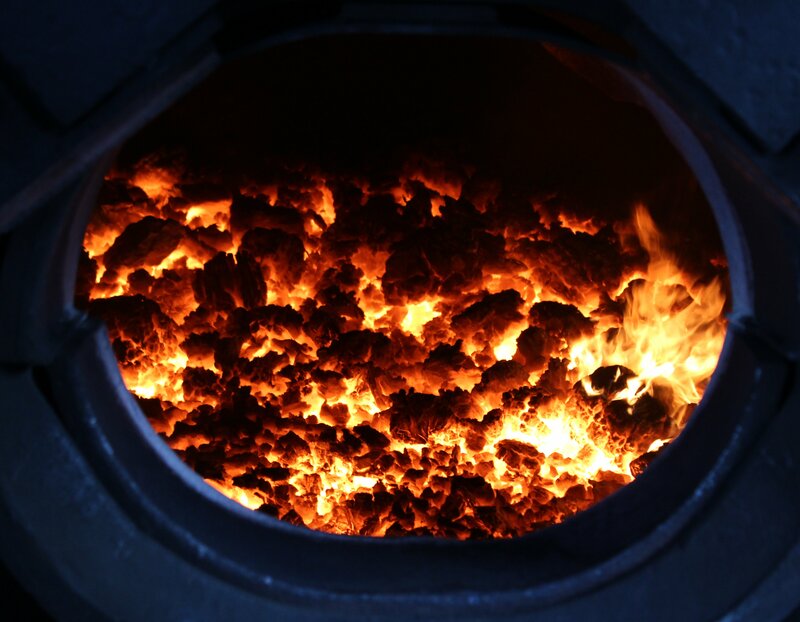 The oil-encased chain driven valve gear leaked leading to wheels slipping and even on occasion set fire to boiler lagging. The chain gear was far from maintenance free as water leaked into it, causing accelerated corrosion. Using all welded steel reduced the weight of the class, but in the medium to longer term was an expensive decision. Expansion and contraction problems with steel were bad enough, but using welding techniques to their extreme caused quality problems and the first ten boilers all had to be replaced after seven years service. The problems were so extreme that the type averaged 62 days out of traffic a year. Indeed, it was their unreliable nature that meant Maunsell’s Lord Nelson class were often needed to substitute them. These problems lead to grave concerns of the cost implications of a type that (at the time) were expected to last until 1980’s. For that reason, under direction from Riddles, Jarvis worked on re-designing the locomotive’s, effectively “standardising” them – and unlike Bulleid’s light Pacific’s, all member’s of the Merchant Navy were rebuilt. Rebuilding lead to a big visual and mechanical difference with the chain driven valve gear being replaced with Walschaerts, a new chimney, removal of the air smooth casing, addition of smoke deflectors. 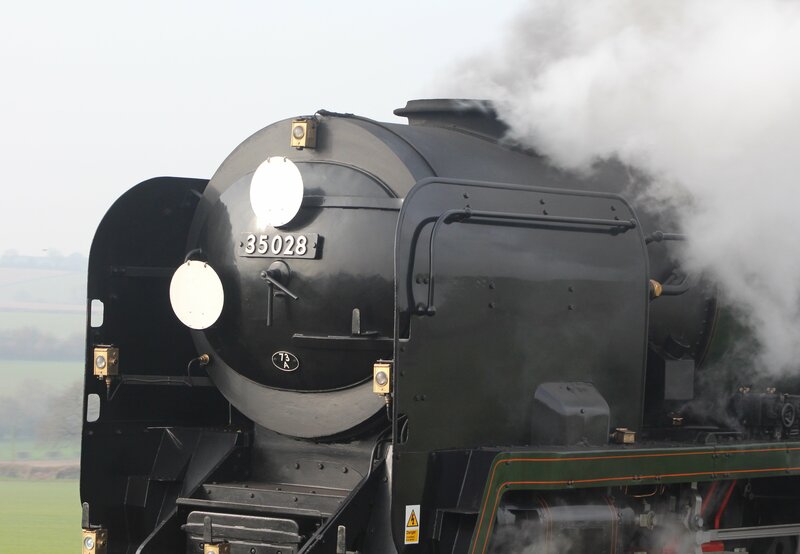 Built in 1948, 35028 Clan Line was never a Southern Railway engine and emerged from Eastleigh works into the then recently formed British Railways. At first it was allocated to Dover, but later to Stewerts Lane, hauling heavy trains including (on occasion) the Golden Arrow and Night Ferry expresses. 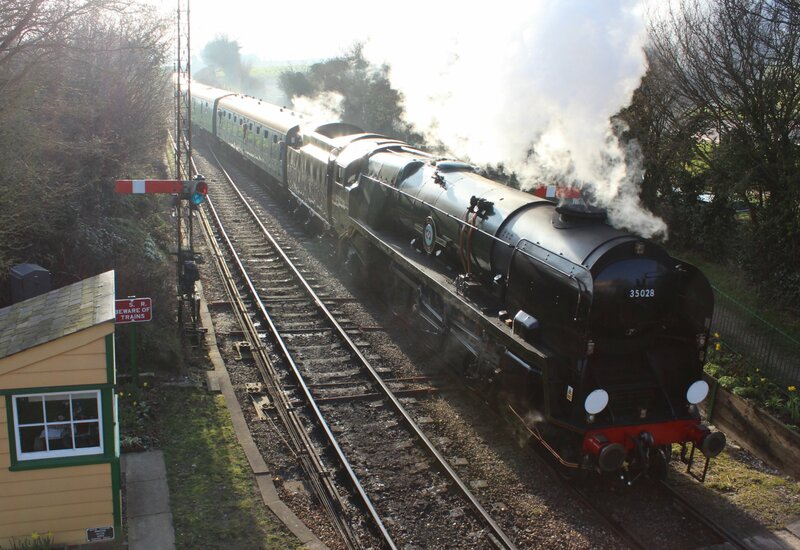 Rebuilding was completed in 1959 and it was re-allocated to Nine Elms where it was once again employed on heavy express trains such as the Bournemouth Belle and Atlantic Coast Express, with an unofficial record speed in 1961 at 104MPH! 35028 has always been a mainline machine with its’ first run mainline run in 1974. 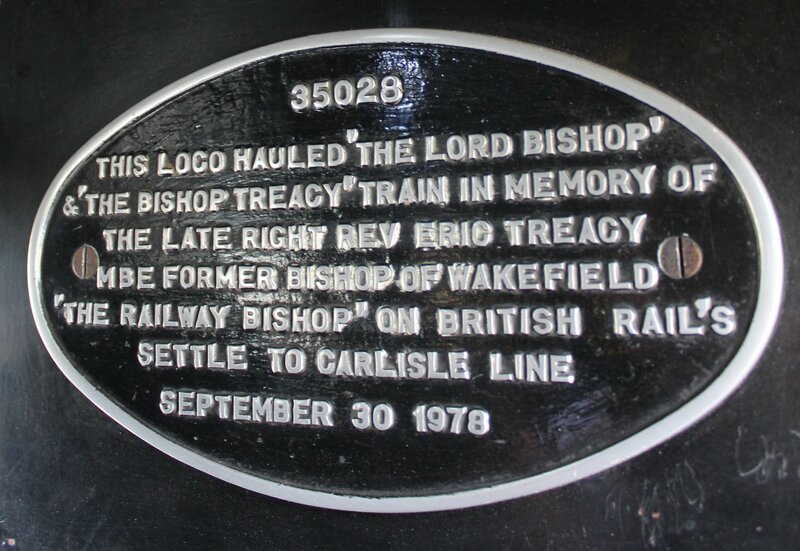 Four years later it famously hauled “The Lord Bishop” in honour of the late Right Rev Eric Treacy in 1978, as commemorated by a plaque to be found in the cab. 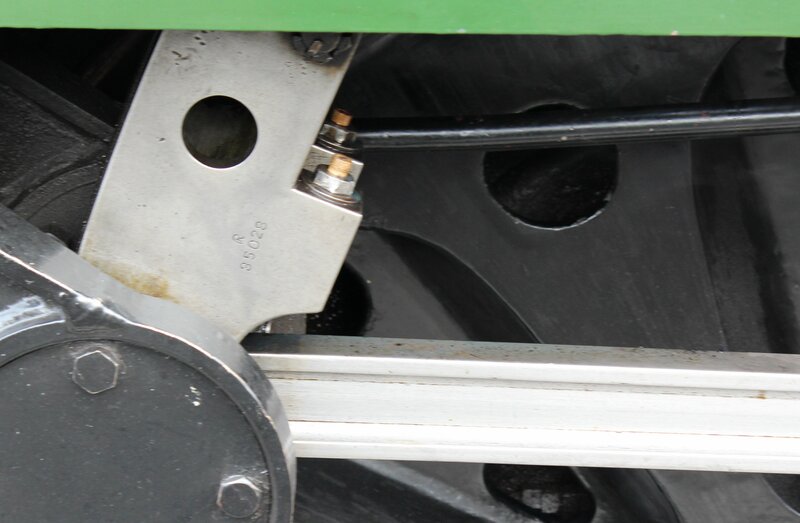 Air compressor equipment was fitted to the locomotive in the 1990’s to allow it to operate air-braked trains and the clunking pump is a noticeable feature at the back of the locomotive’s tender. 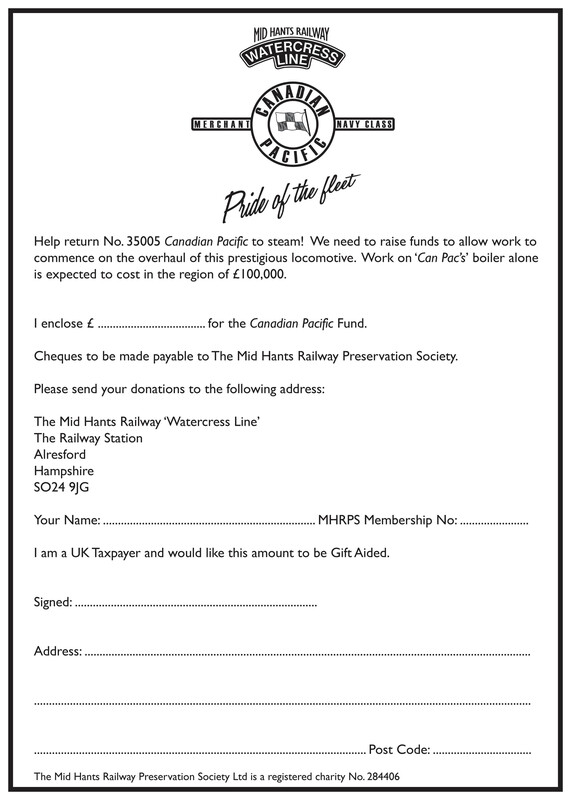 Sight’s like these will become a regular occurrence on the Watercress Line, providing funds are received for the restoration of resident classmate 35005 Canadian Pacific. So please read on and please contribute, no matter how little for this cause. 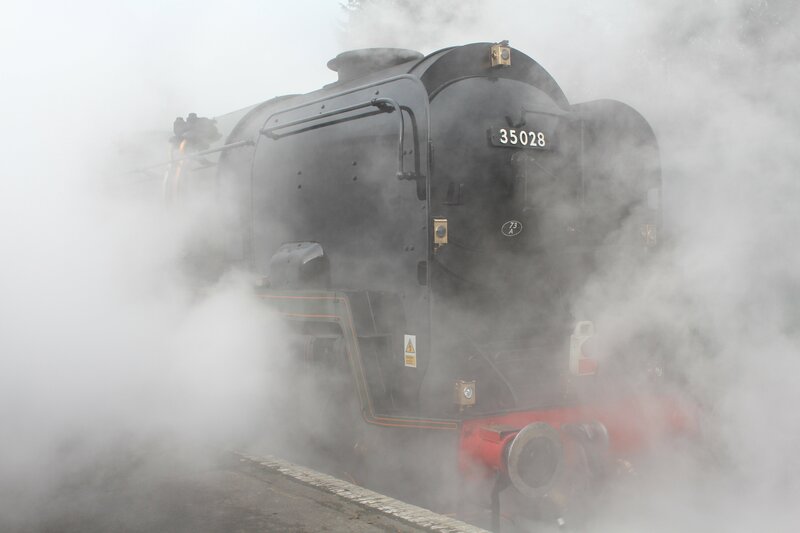 Just a little reminder that the Mid Hants Railway are currently stripping 35005 Canadian Pacific down for assessment of works and costing in Eastleigh and before they can start restoring her we need to raise the funds. This is where we still need your help. As I have mentioned before the boiler work is alone expect to exceed £100,000 so anything you can give will be gratefully appreciated no matter how small you think it might be. Don’t Forget to check out the Brookes Castle – Volunteer Diary to catch up on the stripping down of Canadian Pacific at Eastleigh Works. *note that this text has been updated after a correction made – 35022 was not scrapped but sent to Barry scrapyard, where it was rescued. 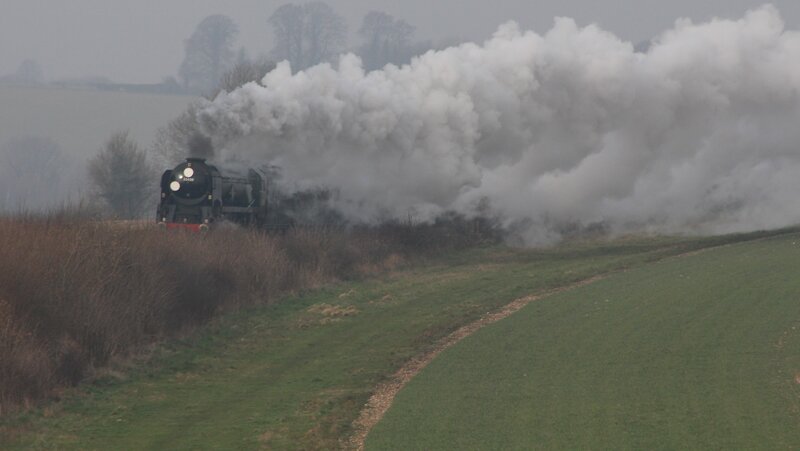 ← How to support your favourite heritage railways simply by shopping online! One quick correction to this article: you say that 35022 Holland-America Line was scrapped. This is not the case: she’s at Southall, along with 35027 Port Line. Both are owned by Jeremy Hosking. I understand that the overhaul of 35027 includes the use of 35022’s boiler, with 35022 itself to be a more long-term project. Thank you for the correction and apologies to locoyard readers for the mistake. The text has now been updated. 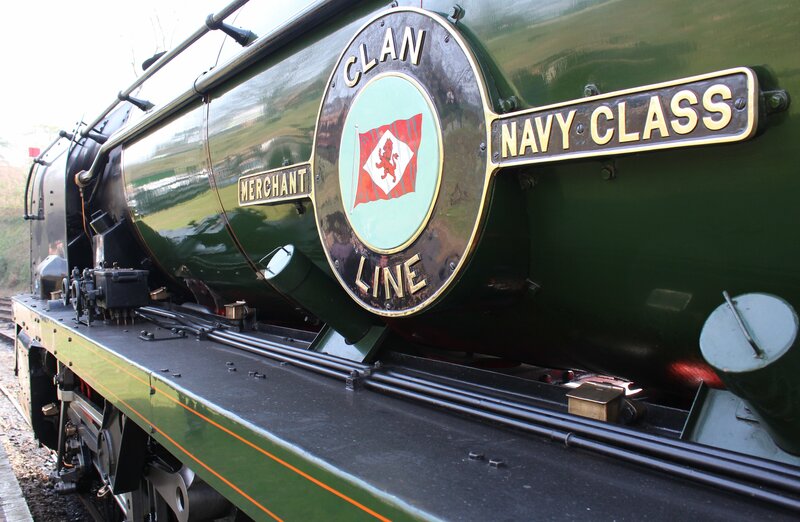 Its a well known fact that I am a huge fan of the Merchant Navy class and with yesterday being Clan Lines last trip before overhaul I thought it would be a good idea to look back at her visit in 2014 to the Mid Hants. Lets hope her overhaul will be a quick and inexpesnive and we can look forward to seeing her haul the VSOE around Surry again.